Chicken is one of the favourite meats of non-vegetarian people. It is a versatile and easily available ingredient. Chicken secures a special place in the menu of most of the households. If you are a newcomer to the world of cooking, then you can also try to cook different chicken preparations. Chicken dishes are equally popular in various cuisines. You have probably tried a number of chicken preparations in restaurants so far, however, with the help of different recipe websites; you can learn various chicken preparations at your comfort zone. Chicken Cutlet: Chicken cutlet is also known as chicken tikki or chicken patties. You can easily make these crispy and delicious chicken patties in merely 40 minutes. Chicken cutlet is a great option for the appetizer, snack or starter for get-togethers or weekend parties. You can serve them with your evening tea as an evening snack. You can also serve them as patties to prepare chicken burger or you can also stuff them under wraps. 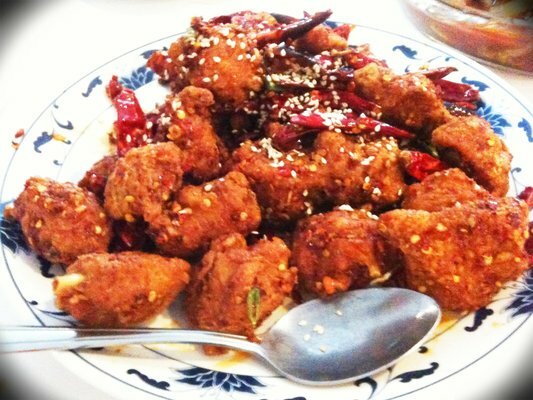 Chicken Fry: Rarely any individuals (non-vegetarian) are there, who don’t like chicken fry. You can make fried and crisp chicken snack easily and quickly. You can make them anytime and they absolutely make a perfect menu when you have guests or friends at home. You will also get many appreciations if you make them in a perfect way. Chicken fry has multiple recipes to follow but you can search the internet resources and find out a simple recipe out of them (that requires basic ingredients only). Chicken fry produces chicken bites – juicy and soft from inside and crisp from outside. Chicken Burger: You can learn to make the chicken burger with the step-by-step procedures. Preparing a chicken burger is not a difficult task at all and it also requires no expertise in the field of cooking. Maybe you have heard the name of Zinger burger that features an extra crunchy patty prepared with chicken thigh or breast. Chicken Masala: This is one of the home-style and simple Indian chicken preparations for new cooks. It makes a great pair with roti, rice, paratha or naan. Numerous ways are there through which you can make masala chicken. Each of the regions has their different style to make it. The taste varies due to the use of locally available taste enhancers including cashews, coconut, poppy seeds, sesame seeds etc. Chicken Curry: This simple chicken delicacy is just perfect for every special occasion. You can make chicken curry with gravy by using some basic ingredients. It has a superb taste and you will get the taste of tender, soft, and juicy chicken. It can be cooked in less than 50 minutes. It is one of the simple-to-follow recipes and for that reason beginner or even a bachelor can easily follow its recipe. No grinding masala or marination is required. You can use any readymade biryani masala or garam masala. Some other popular chicken preparations are chilli chicken, tandoori chicken, chicken korma, butter chicken, chicken keema, etc.